The four seasons of Japan - spring, summer, autumn and winter – are special in their own way. Similarly, Nikko offers a range of seasonal attractions that are historically and culturally meaningful. Read on to find out how you can spend a unique time each season in Nikko! Spring is probably the best time to visit Japan. The cool, mild climate is very ideal for travelling and there are many spring festivals for you to enjoy. In Nikko, Shunki Reitaisai, also known as Grand Festival of Spring, is one festival not to be missed. The two-day festival is held annually on 17 and 18 May. It is one of the biggest events of the Nikko Toshogu Shrine, specially dedicated to Tokugawa Ieyasu (1542-1616) who founded the Tokugawa Shogunate in Edo (Tokyo). On the first day of the festival at 10am, ritual ceremonies will be held at the shrine in the presence of the head of the Tokugawa family, Sanshikai officials, and other dignitaries and guests. Starting 1pm, you can see the Yabusame ritual at the shrine with spectacular performances of archers shooting arrows on horseback. The second day of the festival is the highlight of the celebration with the Hyakumono-Zoroe Sennin Gyoretsu procession. Thousands of locals would dress up as samurai warriors on that day, so be sure to standby your cameras and smartphones to capture this unique sight! The procession will depart from the Otabishio shrine by the Shinkyo bridge and three portable shrines will be carried around during the procession. These shrines carry the spirits of the Shoguns (hereditary military commanders). You will get a chance to listen to ancient court music and view spectacular dance performances throughout the procession, surely a good way to spend a unique summer in Nikko! Opening Hours: 8am - 5pm. Closes at 4pm from November to March. Admission closes 30 minutes before closing time. Access: 30-40 minute walk from Tobu and JR Nikko Stations. Alternatively, 10-minute bus ride (310 JPY or 3 USD one way, 500 JPY or 4.60 USD for day pass, covered by the free passes) from Tobu and JR Nikko Stations. To add to the traditional spirit in Nikko, why not try a town walk in a kimono? Kimono are beautifully decorated with floral patterns and elaborate design and they come in an array of bright, breathtaking colours. Kimono are worn with traditional footwear and split-toe socks. 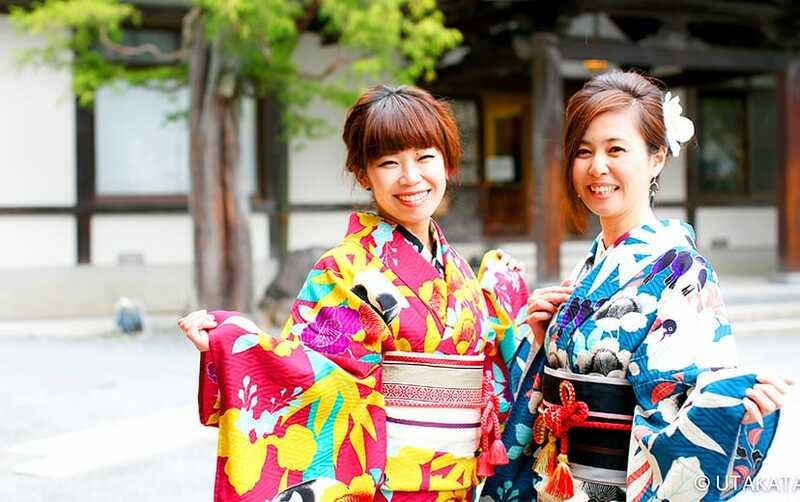 Dressing up in kimono has always been a great hit with tourists. You will feel as if you’ve travelled back in time when you tour the traditional streets, temples and shrines in Nikko. In spring, there will also be cherry blossom trees in Nikko and together with your kimono outfit, you will definitely get the perfect Instagram-worthy shot! Although summer in Japan may be warm and humid, there are so many things you can do during this season. 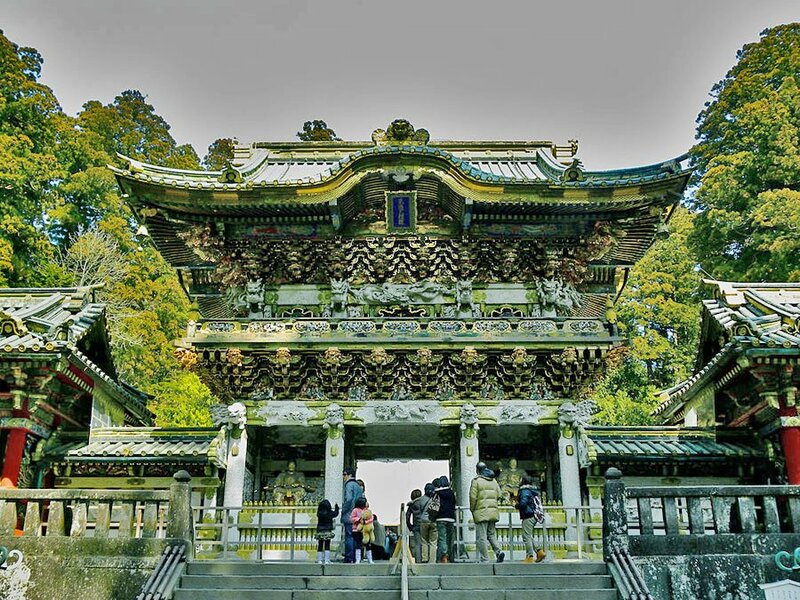 If you’re looking to spend a meaningful and different summer vacation, visiting Nikko’s Toshogu Shrine and its surrounding temples and shrines will be the right choice for you. The Toshogu Shrine was listed as a UNESCO World Heritage site in December 1999. Having more than a dozen building sets, the shrine complex contains both Shinto and Buddhist elements. The shrine’s architecture is simply phenomenal – it is lavishly decorated with wooden carvings in an array of different colours. Perhaps you’ve heard of the phrase “see no evil, speak no evil and hear no evil”; the shrine has the famous carving of the Three Wise Monkeys that reflect this phrase. Another rare sight is the Sozonozo Elephants (“imagined elephants”) carvings created by an artist who had not seen an elephant before. In addition, next to the Toshogu Shrine, there’s the Rinnoji temple and Futarasan shrine that contain rich history on Japanese religious culture. To better understand the deeper meaning behind the shrines and temples and how religion has developed throughout Japan’s history, you might want to take up a Nikko one-day tour that will provide an in-depth explanation of the place. Book your Nikko tour today! In Japan’s sweltering summer season, you certainly need Nikko Shaved Ice to beat the heat. Commonly known as Kakigori, the ice used for this traditional dessert is made from Nikko’s pure spring water, naturally frozen and preserved in cold air. A variety of toppings are then added to the shaved ice such as melon syrup, bean jam and matcha. As Nikko is located in the Tochigi prefecture, you’ve got to try the Tochigi-branded “lemon milk” flavoured syrup and strawberry syrup for the shaved ice. The flavour is simply stunning and the texture of the shaved ice is so soft and delicate that it just melts in your mouth. A cooling sensation for the humid summer! Tremendous effort is required to produce such high-quality shaved ice because the ice needs to be in pristine condition at minus 7 to 8 degrees Celsius (minus 44.6 to 46.4 degrees Fahrenheit). As such, there are very few natural ice producers in Japan, and of which, 3 of them are located in Nikko. Don’t forget to have your Nikko shaved ice this summer! You’re sure to love it! More than the cool shaved ice, Lake Chuzenji in Nikko is a refreshing place to visit during summer. Located in the Nikko National Park, it is one of the highest lakes in Japan at 1269 metres (4163 feet) above sea level. Even during summer, you can enjoy a cool breeze at the place, accompanied with stunning and scenic views of the surrounding hills and mountains. In Japan’s Meiji and Showa period, many foreign ambassadors have enjoyed the cool environment at the lake and decided to build summer vacation houses there. This includes villas of embassies of France, Belgium and Britain. The Italian embassy villa was bought by Tochigi Prefecture and is now opened to the public as a memorial park. 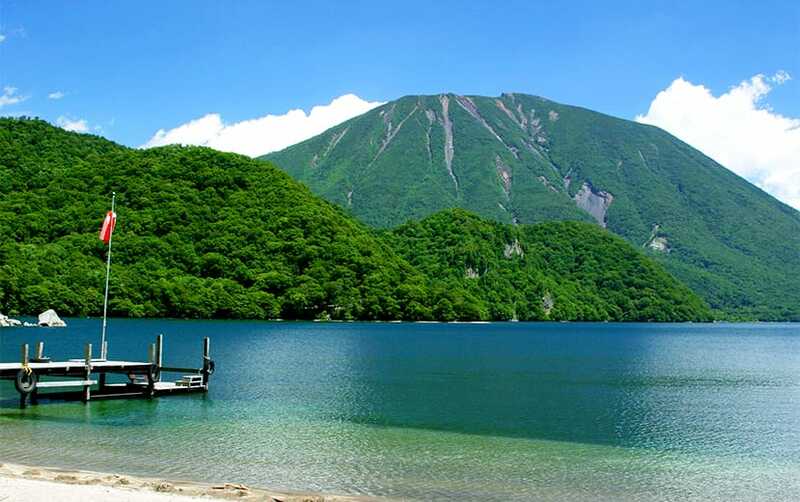 Spend your upcoming summer at Lake Chuzenji! Autumn is another exciting season as the landscape turns into a golden glow of autumn foliage. These are the three best spots in Nikko we recommend to enjoy the absolute beauty of autumn leaves. Lake Chuzenji is one of the best autumn leaves viewing spots in Nikko (just like how it’s a perfect summer retreat also!). The forested slopes turn into a sea of hues of red, yellow and orange and the lake is clear, pristine and blue. You can get a nice view of the autumn foliage across the lake at the Hangetsuyama Observation Deck, or alternatively, you may want to take the sightseeing cruise to get around the area. The best time to visit Lake Chuzenji for the autumn colours is from mid to late October. Secondly, you can enjoy Nikko’a autumn beauty at the Ryuzu falls, a waterfall that looks like a dragon head. Enjoy the cool autumn breeze as you walk along the forested trail towards Ryuzu falls. 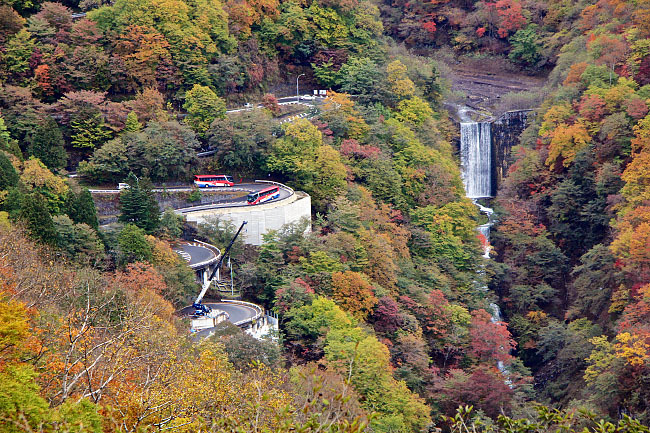 Lastly, Nikko is also well known for its Irohazaka Winding Road that offers a spectacular view of autumn colours. You can get a better view of the entire scenery from the observation deck of Akechidaira Plateaus. The autumn foliage usually peaks around late October to early November, and traffic may be packed at the Irohazaka roads, so do arrive early and avoid weekends and national holidays! The autumn season is the best time to sit back, relax, and simply slow down to enjoy life. Visiting an onsen (Japanese hot sping) is a good way to relieve your weariness and recharge yourself. In Nikko during autumn, the Yumoto Onsen Town gives you the best of both worlds – a nice, refreshing hot bath and the beautiful view of the mesmerising autumn colours. Having more than 1200 years of history for its hot springs, the onsen town is quietly nestled in a forested area and has the tranquil Lake Yunko just beside it. The water from the onsen town has a strong scent of sulphur and it is said to have an effect of making your skin beautiful. Enjoy the hot spring at one of the ryokans in the town! Come winter, Nikko brings you a totally different experience again! Oku-Nikko, the north-western part of Nikko, is a great place for winter leisure activities for family travellers. Skiing, snowboarding and snowshoe trekking are popular activities as Oku-Nikko has powdery snow and many good facilities for travellers to enjoy these activities. Visit the Edelweiss Ski Resort, Nikko Yumoto-Onsen Ski Slope and Kotoku Cross-Country Skiing Site for an unforgettable winter experience! Nikko also has a local delicacy to keep you warm during winter. Yuba is a kind of food made from the skin of heated soymilk and it is extremely healthy and delicious. Its texture is soft, wrinkly and slightly chewier than tofu. Many locals love yuba and this delicacy has a long history connected to the temples and shrines in Nikko. Yuba was the perfect food that matched the vegetarian diet of the priests and monks in Nikko. Just like ramen, udon and soba, Yuba is best served as a hot bowl of noodles to warm up your chilly stomach. Make sure you try the piping hot Yuba when you visit Nikko! Here is some suggestions where to enjoy Yuba cuisine in Nikko. Whether it’s spring, summer, autumn or winter, there’s always something for everyone to enjoy in Nikko. This city presents deep cultural and historical attractions at different times of the year and you really have to be in Nikko to experience its charm. Travelling from Tokyo to Nikko for a day trip is also a breeze as you can travel to Nikko by the Tobu Railways and Japan Railways (JR). Tobu is offering various “free passes”, which include the round trip from Tokyo to Nikko and unlimited use of buses in the Nikko area. Visit Nikko today! Nikko Kanaya Hotel, the Oldest Resort Hotel in Japan Full of Historic Charm! 15 shopping mecca only around JR Shinjuku Station!